Our staff can help you see through the eyes of the consumer to create delicious and easy to use food products and increase your gross sales in manufacturing, restaurants and retail foods. We look at demographic and attitudinal data from all sectors of foodservice and retail while combining culinary flair and expertise to develop products with mass appeal. We are dedicated to innovative product development and have experience in every type of cuisine from fine dining to sandwich shop. Our “real time” experience on the production plant floor is unsurpassable. Great ideas mean nothing if they can’t be reproduced. Let Culinary Systems help you reach your goals. Our “real time” experience on the production plant floor is unsurpassable. Great ideas mean nothing if they can’t be reproduced. Let Culinary Systems help you reach your goals. Tony Lagana, president of Culinary Systems, Inc., is a forty-two year veteran of the food industry and has often been nicknamed by his peers “The New Product Guru”. 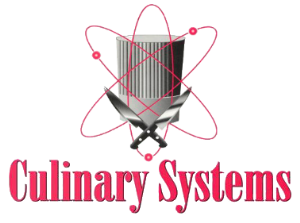 Since its inception in 1997, Culinary Systems Inc. has helped its clients develop and introduce new products and product lines generating approximately two “Billion” dollars in sales at the retail, food manufacturing, and restaurant level. Mr. Lagana says, “Our success has come from being able to see through the eyes of the consumer”. Tony’s diverse background began with a classical European style apprenticeship at the “hall of fame restaurant” L’auberge Chez Francois. He has been executive Chef of several fine dining restaurants in the Washington D.C. area, a cooking instructor at L’Academie De Cuisine, and has been featured live on Metromedia Magazine demonstrating his recognized expertise in Southeast Asian cooking. Mr. Lagana held a senior position in New Concept Development for Kraft Foods, developing concepts and prototypes for the entire North American retail and food service division. His efforts produced new products in virtually every section on the grocery shelves. Tony also held the position of Director of Culinary Development for the 700-unit Red Lobster chain, leading the development of new promotions and base menu items. “We have been able to put retail and foodservice products in the market that have national appeal and staying power by doing our homework”, says Lagana. “We look at the demographic and attitudinal data from all sectors of foodservice and retail. This information is cross-linked to our own internal Culinary tracking, which analyzes all categories in foodservice, including fine dining. This paints a broad picture of where things are going and what people want, even when they cannot articulate that desire”. The technical and culinary skills of Tony and his team can be seen on the menus of national chains, in the portfolio of national food manufacturers, and on the grocery shelves of products produced by major retail companies. European trained, Bernhard has over twenty years of cooking experience. Bernhard has held many positions in some of Europe’s finest hotels and restaurants, including a stint in Damascus, where he gained knowledge in Middle Eastern Cookery. Within the U.S., Bernhard has worked in various five-star hotels in the Chicago area gaining a thorough knowledge in multiple cuisines and Kosher cooking. His advanced skills in Garde Manger has been showcased in Chicago’s University Club. Lek holds a B.S. in Food and Nutrition from the Sandusit Teacher’s College in Bangkok, Thailand. She has apprenticed in several major hotels under widely respected European chefs. Lek was Executive Chef at Royal Siam, a Thai restaurant in the Washington D.C. suburbs, where Lek and Tony joined forces in the Americanization of Thai and other Asian flavor systems. Lek worked in Recipe development for the Kraft Creative Kitchens and studied Food Styling at the CIA in Hyde Park, New York. After graduating from Framingham State College with a B.S. in Home Economics, Susanne taught high school food and nutrition classes before working in the restaurant industry. She held positions in Food Product Development for Ground Round Restaurants working on special Marketing projects, including Promotions and Banquet Menus. When Susanne left Ground Round, she did food development, photography and new menu development consulting for major restaurants in the Boston area. When Susanne joined Red Lobster in 1991 as a member of the Research and Development team, she worked in National Promotions, Regional and Base Menu development, Public Relations and New Concept Development. In 1998 Susanne joined the Culinary Systems team offering creative, culinary ideas to restaurant chains and manufacturers.